The owners are fantastic people, I've always enjoyed my stays here and will return. Hanmer Springs is a beautiful place and the accommodation is cosy and well located. Well located and professionally run hostel. We were made very welcome. Comfortable, clean room. A lovely friendly place to stay. Beautiful place so cozy and comfortable. Outstanding facilities, excellent hosts. I recommend this! The place was clean and the location was excellent for getting around town. Tristan was very helpful and accommodating, and the facilities were taken care of and well stocked. I would definitely stay here again and would recommend it 100%! Such an awesome stay! Lovely staff and great atmosphere. 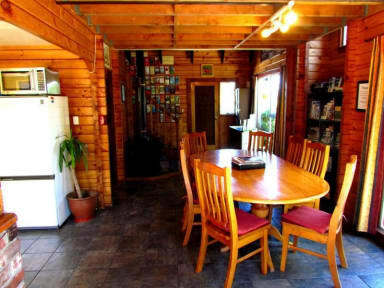 Hostel with great facilities, very close to most attractions in Hanmer Springs. Hosts were very helpful and maintained the hostel in a clean condition. Highly recommended. Lovely well appointed rooms and kitchen with lots of extra touches. We had a double with en-suite. Glad to have the fan and extra pillows! Thanks! Great hosts and a lovely little hostel. The location is great and made for a very nice stay.